Let’s face it. We all have ups and downs in our businesses. Those are fine. They, somehow, come and go quickly. 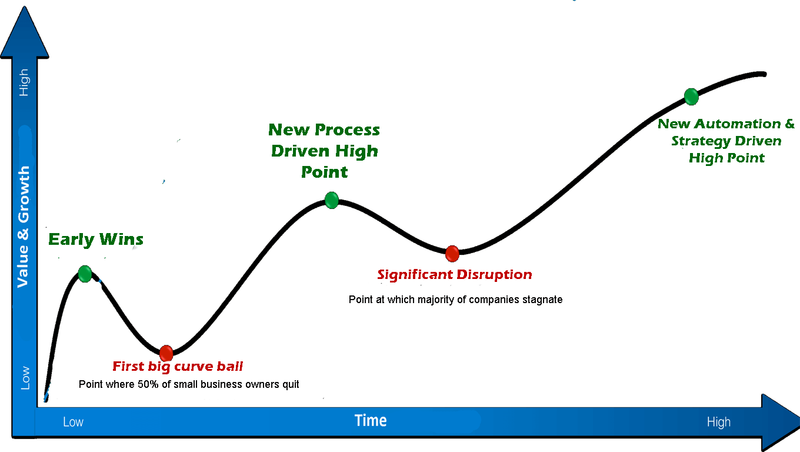 The gnarly part of owning a business is the dip and the “stagnation” period. I know you’ve felt this before. For some reason, you just can’t make the next breakthrough. And it can be frustrating as hell. I knew, even when I was just a schoolboy, that life doesn’t work in these theoretical linear curves in which everything goes up all the time. I’ve seen how my parents struggle sometimes for a year just to make the breakthrough. I recommend you read a book called “The Dip” by Seth Godin because it addresses the exact problem of living in “The Dip”. And yes, I do love reading Seth Godin’s stuff; the man’s a genius. That’s why I mentioned him on our blog several times. After my school days, I went on to experiment with all sorts of businesses(You can read all about the story of How I scratched my entrepreneurial itch here) and finally, through trial and error, I found a way to help myself and other businesses. I found a three-step process which enabled me (with the help of the best CRM for small business’) to make my business have a more stable growth and get through dips more quickly. I’ll get to that process in a second. But really, I want you to take a moment and be grateful and proud of what you’ve achieved so far. You’ve come so far, and you’re still willing to learn and to cover new grounds. That’s the spirit of a champion. Please take a moment and tell yourself: “Thank you for what you’ve done, you’re a true champion!”. Now, enough of the celebration, it’s time to get our hands dirty again. I promised to give you three simple steps to get your business to the next level. It’s actually all about introspection and reverse engineering. First, you have to take a deep and honest look into your business. After that, it’s a matter of defining where you want to be and breaking that goal into smaller, more achievable ones. But first we need to know where you’re at right now. In most of the cases, this is the hardest part of making breakthroughs in business. Taking an honest and objective look into every aspect of your business. You have to be ruthless here and I would even recommend you use a help from an honest and knowledgeable friend. Without any further ado, let’s get into the three steps to take your business to the next level. Ok, you’ve made it through one of the most difficult stage. You started your own business. This is a big hurdle to overcome. There are millions of Wantrepreneurs in the World. And you, fortunately, are not one of them. Here are some some characteristics of this period in your business development process. Hiring – you struggle to find good help. You just can’t seem to find talented people because most of them are avoiding work at early-stage businesses. Don’t worry, this phase will pass and you will find talent and loyalty you deserve. Cashflow – there never seems to be enough to invest in the business which can be frustrating. Crappy forecasting – you’re not sure how the month or year will end up saleswise until after it’s finished. There are lots of unknowns, not sures, and guesses. You’re figuring things out as they go and they all seem to have high priority. Groundhog Day – you’re stuck in a time for money type of lifestyle which is not a great thing to have. You need to increase your worth on a scale. Also, you have just enough for a good to comfortable lifestyle (whatever those numbers are in your world). Word of mouth fallacy – you focus is heavily on Acquiring new customers & clients, yet “Word-of-mouth” is the main source of leads. You’re not really able to see past 30-90 days in terms of vision for the business. You’re also not doing much if any advertising or marketing and you often discount or change offering to “get the deal”. If this sounds like you, you should focus all your energy to making it to step 2. Remember we’re not talking about solutions and actions. We’re still taking an introspective look into your business. Ok, you’ve made it through the first step. It was so hard, but so worth it. In the next phase you start having a stable and predictable business. This is a fun part of the process as it’s really challenging and fulfilling. Here are some characteristics of this part in your business development process. Forecasting – You’re starting to get a vision forming for the business, but it often changes and you can feel a disconnect between your vision and your results. Sales really starting to look better and more promising. Your ability to guess how the month or year will finish financially is much better. Groundhog day – Your life is getting more and more comfortable, but you stick to your visions and re-invest all the excess money into your business. Jack the Master – You’re still likely wearing most if not all the hats but you’re finding a groove of how to deliver the product or service to customers & clients. You’ve figured out how to prioritise what are the more important activities and spends more of their time on those, less on admin/non-revenue producing activities. You’re starting to see the patterns in sales and service delivery (delivery the product or service to the customer or client), and therefore starting to become aware of a concept called Systems or Systemising. Retention (Growth) – You’re starting to charge higher prices / make better profit/margin per sale. You still focus heavily on Acquisition of customers & clients, but starting to see an increase in retention (that is repeat customers) and most likely seeing some uptick or increase in Referrals (customers referred to you by others). You have more than one thing people can buy from you, as such beginning to get repeat sales from previous customers. Also, you understand that marketing and advertising are required to produce predictable results in sales and leads. And when we’re on the topic of leads, you’re saying NO to leads and customers more often. Now this is where you want to be. In this phase it’s all about scaling. You have to scale your customer support, your lead-generation, your marketing. There is one common trap that business owners fell into with this phase. It’s the lack of decisiveness with delegation. Hey, I know it’s hard. Your business is your baby. But for it’s sake you need to let it grow. It’s similar to your actual children. You need to let them be their own and the best they can be. Hiring – Team in place with several key important staff members (can still be freelancers). You’re not even doing all the hiring yourself because you can trust people so much. You have people that are smart and loyal and all you need them to do is to send you a monthly report on how far have they come with their results. Cashflow – You have a very strong understanding of delivering to client efficiently and sales are done without human intervention. The business makes a considerable portion of its sales via credit card online. Forecasting – Sales are highly predictable and you can plan years in advance. Most of your yearly goals are crushed and you can rest assured you’re business is at its peak. Groundhog day – You can finally afford to go on that trip around the world with your family knowing that everything is going to be ok with your “baby”. Jack the Master – You’re no longer wearing all the hats, mostly just the essential core skill of the business. You have a clear understanding of how to sell products and services to leads effectively. Business owner is finally doing strategic and rewarding work ON the business, instead of manual and repetitive work IN the business. 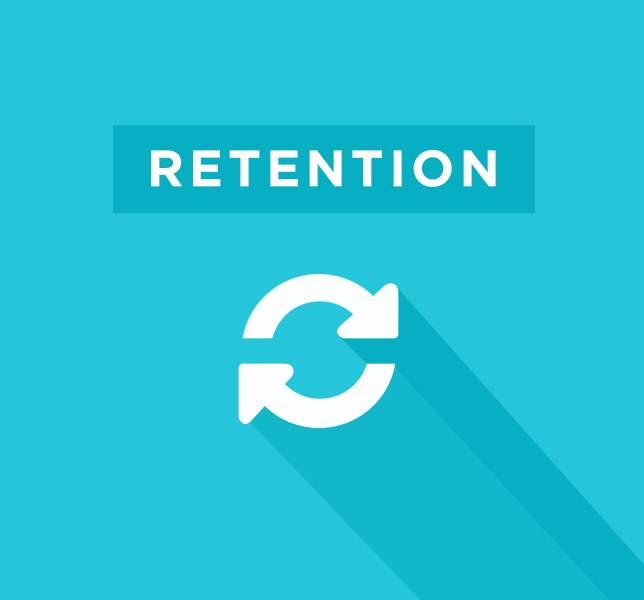 Retention (Growth) – Your focus is no longer on Acquisition of customers or clients. Retention and Referrals are the primary source of sales. You have multiple Strategic partners and referral sources in place. You find that the Pareto’s principle is true because 80% or more of your income come from 20% or fewer partners. This is typically a linear journey for most small business owners. But reading that you might find you’re already doing one of two things across different stages. You’re in the top 5-10% of business owners who understand you can short cut your success and things don’t actually need to be as hard as we often make them feel. If you haven’t and you’re stuck at the beginning or maybe in the middle, that’s great too. You’ve taken action to read this. And now have a better understanding of what you need to do. What matters most is actually looking at the final stage, Acceleration & Rapid Business Growth. Here we can review what our business should look like then and implement those things now, instead of beating our heads against a brick-wall and taking the slow road. This comes back to a massively important skillset that I feel most people grossly underestimate the importance of which I wrote all about here in What I learned about business from a $10 box of lego. What we’re going to do now is try to boil down the final stage into its underlying and fundamental elements, and then figure out some straight-forward action steps you can take now to move into that stage faster. You are no longer wearing all the hats, mostly just the essential core skill of the business. We wear all the hats when we don’t know what we’re offering or how we’re offering it, making it very difficult for any other team members to help us. Therefore, systemising the steps and processes in the business is key here. Method to Win Here: Systemisation. This only comes from experience, trial and error. You figure out what works and what doesn’t and standardise the process for everyone to follow. Pretty much the same process as above. At first glance we might think this is to do with finding the right people, but the right people can’t learn what to do and do it well (i.e. the way we want it done) until we have systemised the process. Method to Win Here: So Systemisation wins here again. Focus is no longer on Acquisition of customers or clients. 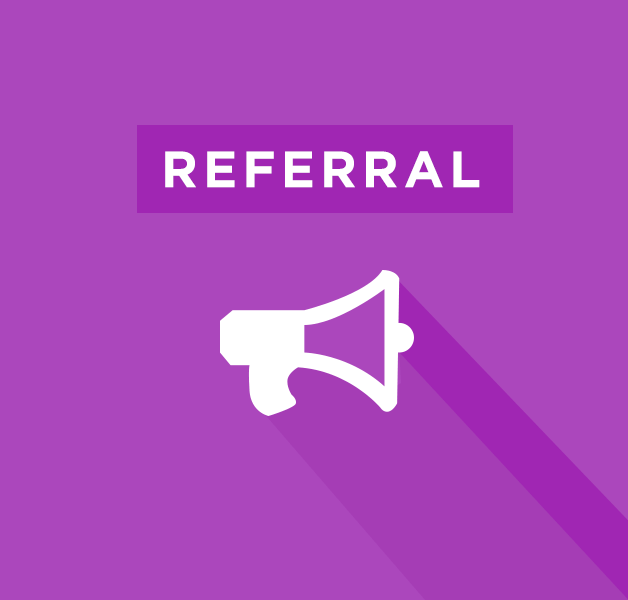 Retention and Referrals are the primary source of sales. Multiple Strategic partners and referral sources are in place. Sales have become highly predictable. 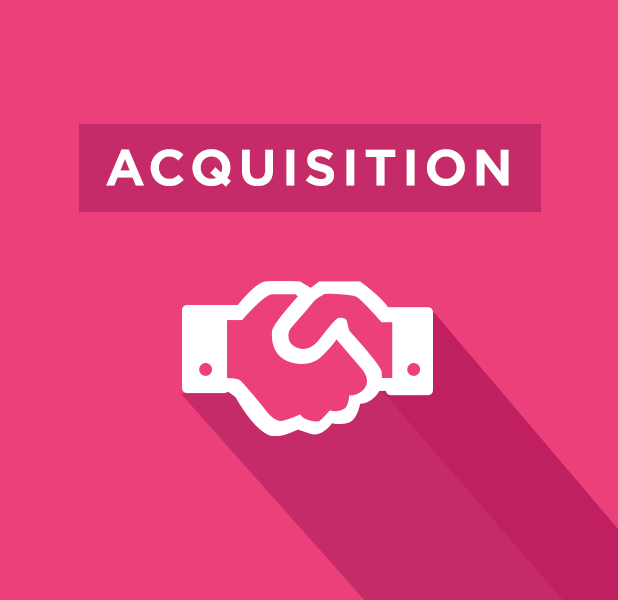 If Acquisition was the manual and repetitive monthly activity of finding new customers, going to business breakfasts, trade shows, networking events etc. then Retention and Referrals is the automation of this process. By establishing some marketing and sales funnels, and several referral partners or strategic alliances to consistently bring in leads, customers, and sales, we no longer need to be manual or think about the how in this department. Method to Win Here: So this one goes to Automation. The easiest way to understand how this one works is to show you. There is no end to the number of available technology options you can use today to help achieve a more systemised and automated way of working. It can for some be very daunting to get started, others not so much. Wherever you are on that spectrum I find demonstration to be the best way of learning/understanding what needs to be done. One example I think most businesses can relate to is the process of a new enquiry coming in via their website enquiry form, that enquiry hitting the inbox (and getting lost amongst all the other emails mind you). After that you’re hitting reply to the enquiry, maybe making a phone call, then trying to write down or record somewhere to remember to follow up with that lead. A business in the final stage would have heavily automated that process and set up mechanisms that made it near impossible to lose that lead to a competitor. But how do I do that you might wonder? You can read exactly how to do that in this guide we wrote here. Method to Win Here: So in this case, Systemisation and Automation go hand in hand. Business can now make sales without human intervention and makes a considerable portion of its sales via credit card online. You don’t need to go out and get a merchant account or spend heaps of money with developers to get this in place. There are tools like Stripe and WooCommerce which can allow you to do this very very easily and be set up within a day or so (hours if you really proactive). As a direct result of these multiple points of systemisation and automation, as much as 40-70% of your time as the business owner is recovered and becomes available for you to utilise as you wish. Now isn’t that last one how you thought it was going to be wayyyyy back when you thought about starting your business in the first place? Well, this post has gotten pretty long, and if it doesn’t resonate with you by now, I’m going to suggest you let it all sink in a little. Check out the guides I referenced already above before you go any further. If you’re not where you wanted to be by now, this is the stuff that needs to hit home for you to really start to make a difference in your results. But that’s not much of an action step is it? So what I’d like to do is give you a little gift that includes exactly 5 steps, 5 action points, and 5 pro-tips to help you on your way to some solid growth. It’s the essential things I learned while I was on my journey as a consultant (running my web development business) that made the biggest impact on moving from Stage 1 up to the upper levels of Stage 2 and tipping over $250,000 in my second year. Click here to let me know where to send it, and I’ll get that out to you immediately. Now, IF this DOES resonate with you, then I have something better for you. I want to help you get into Stage 3 realisation as fast as you wish to get there. I’m putting together a short video series designed to do just that, to take you from wherever you are right now on the curve we discussed above and transition you and your business into that 3rd stage, Rapid Growth and Acceleration. By reaching this point in the blog, you’re telling me you are someone who is ready to take that step, someone who wants to implement some systems and automation in their business because they can see the clear benefits and maybe you’re a little tired of doing it all yourself all the time. You want to learn this stuff and finally figure this thing out once and for all. But, how can we truly be sure? I’ll be tackling all of that and more in the video series, if you want in, simply click on the button below to lock in your spot.